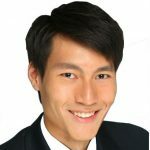 Leon Tan graduated with a Bachelor's Degree in Real Estate from the National University of Singapore. He spent 4 years in the real estate industry before embarking on his financial planning career in AXA Life. He is constantly listed as one of the top financial advisors in AXA Life and currently leads a young and vibrant team of financial advisors.